elcome to Projector Screens.com.au, the factory direct online store of Oz Theatre Screens, Australia's only factory direct cinema screen manufacturer. For further technical info relating to our Majestic screens please click here. We are an Australian Manufacturer Of State-Of-The-Art Dedicated Fixed Frame Cinema Screens. Since 2002 we have been manufacturing our top of the line Majestic Screens with our range of high performance exotic projection foils. Our screens are designed for all types of projection applications including ultra high resolutions of 4K and beyond. Not sure which format is right for you? Not sure what screen material to use? Not sure where the projector should be mounted? Call us on 07 5546 1960 or 0402 424 177 and we'll you put on the right track! Be sure to have a look at the gallery and read the screen reviews. News and updates below. Richard Ward - Qld Australia. 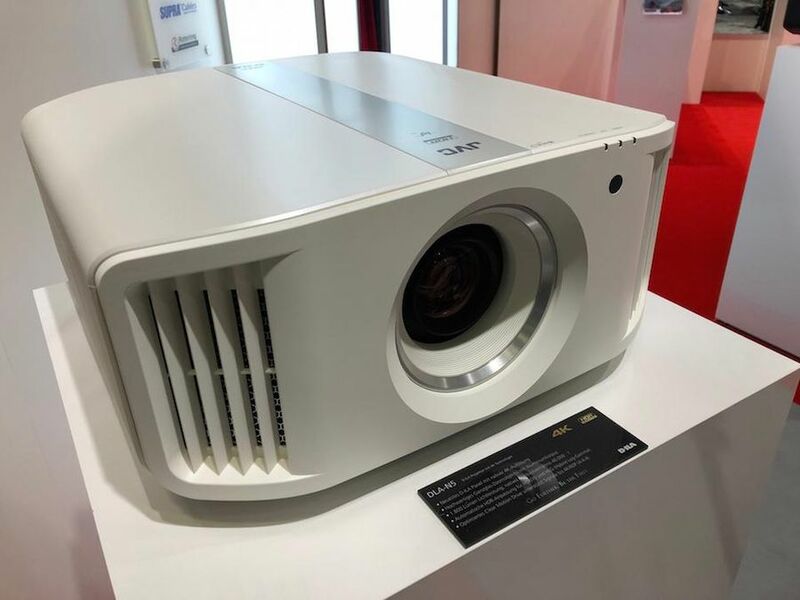 March 2019: The amazing BenQ LK990 4K laser projector coming to our showroom soon! 6000 lumens. All glass optics, no convergence problems, the sharpest image possible. If you're serious about image clarity and razor sharp edge to edge focus with the best motion handling in the business, look no further! Feb 2019: The long awaited JVC N7 and Sony 570ES Native 4K projectors now in our showroom. book in for a demo. January 2019:  It's that time of year again! 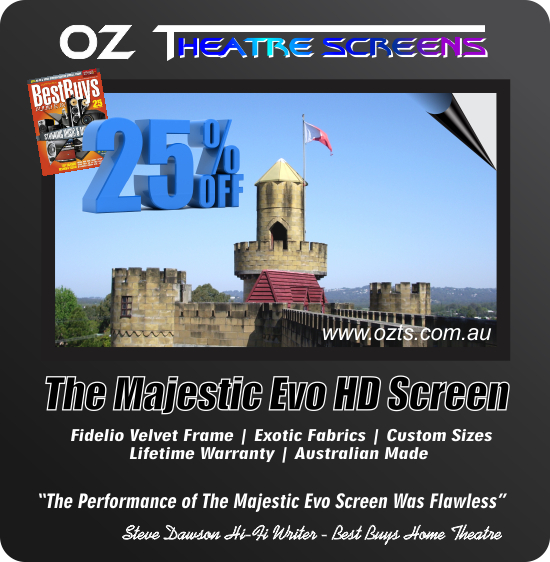 This time it's a whopping 25% off our premium Majestic Screens in all formats and materials. Call to order, discounts not applied online. JVC DLA-N5, JVC DLA-N7, JVC DLA-NX9 coming end of December. RRP pricing as follows - N5 $9399, N7 $11,999 and NX9 8K eshift $26,799. Of course our intro pricing will blow those prices out of the ballpark! Call or email for firm pricing. October 2018: Sony releasing a few more native 4K machines - the VPL-VW270ES and the VPL-VW570ES. Good to hear the 270 which replaces the 260ES sees some good improvements. Although the 260 and 270 never had lens memory they still have motorised everything so one can still use a scope screen. October 2018: We have a cracking special price on the Epson TW9300 listed over at Stereonet. PM or call for pricing. 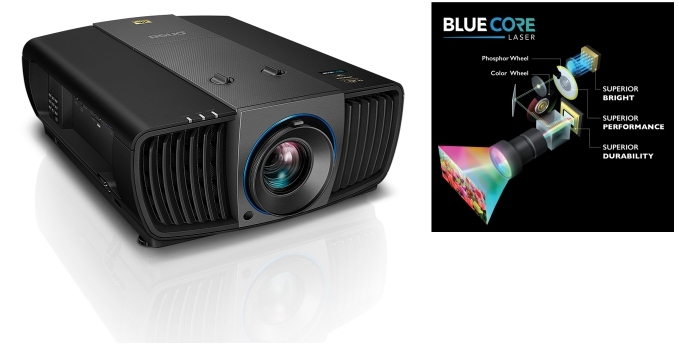 August 31st 2018: NEW JVC DLA-NX9, DLA-N7, DLA N5 Native 4K Lamp-Based Projectors coming for 2019. More details to follow. Pricing should be available early October and stock late October. We're taking pre-orders pending pricing of course. Once we have Australian pricing we will email everyone who has placed tentative orders. And if you're not already a member over at Stereonet, sign up, it's free and lots of good people and good information to be had there. March 2018:New Acoustic Vision 4K material now available, a newly refined AT material with a smaller tighter weave for 4K Cinema Projection. 2K AT is now EOL. 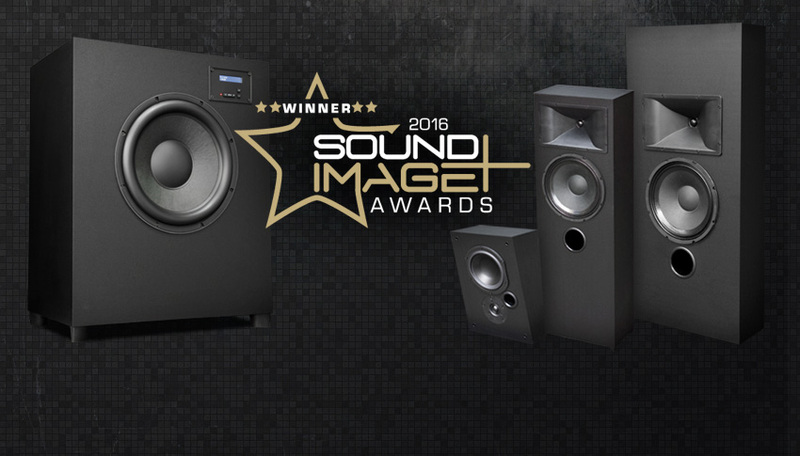 June 2016: The all new Epson EH-TW9300 Home Theater Projector. brands in the world of AV. Keep and eye out for some amazing new complete packages coming soon!